…and more. 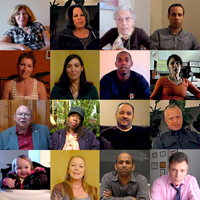 The conversation is growing! 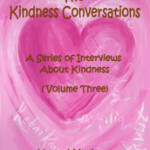 The Kindness Conversations are now beautiful and inspiring books! 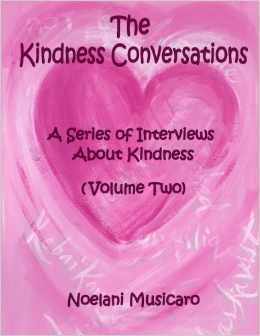 The Kindness Conversations is a non-profit subsidiary of The Kindness Team, a project of We, The World, a 501(c)(3) non-profit organization, WE.net. Funds are used to create educational materials and videos to inspire and empower action to end hunger and promote kindness. It doesn’t interest me what planets are squaring your moon. I want to know if you have touched the center of your sorrow, if you have been opened by life’s betrayals or have you become shriveled and closed from the fear of future pain. I want to know if you can sit with pain, mine or your own, if you can dance with wildness and let the ecstasy fill you to the tips of your fingers and toes without cautioning us to be careful, be realistic, or remember the limitations of being human. It doesn’t interest me if the story you are telling me is true. I want to know if you can disappoint another to be true to yourself, if you can hear the accusation of betrayal and not betray your own soul, if you can be faithful and, therefore, be trustworthy. It doesn’t interest me to know where you live or how much money you have. I want to know if you can get up after a night of grief and despair, weary and bruised to the bone, and do what needs to be done for the children. It doesn’t interest me who you know or how you came to be here. I want to know if you will stand in the center of the fire with me and not shrink back.